A year ago today, 1,800 feminists and women’s rights advocates from all corners of our movements gathered on the shores of Bahia for the 13th AWID International Forum. Amidst a coup that ousted Brazil’s first woman president Dilma Roussef and the Zika Virus outbreak, the Forum was held in the spirit of resistance and resilience to a confluence of rising fascisms, fundamentalisms, corporate greed and climate change. It was a political moment of coming together, acknowledging collective exhaustion and a sense of feeling overwhelmed, but forging ahead with creativity and dedication to bring about Feminist Futures. 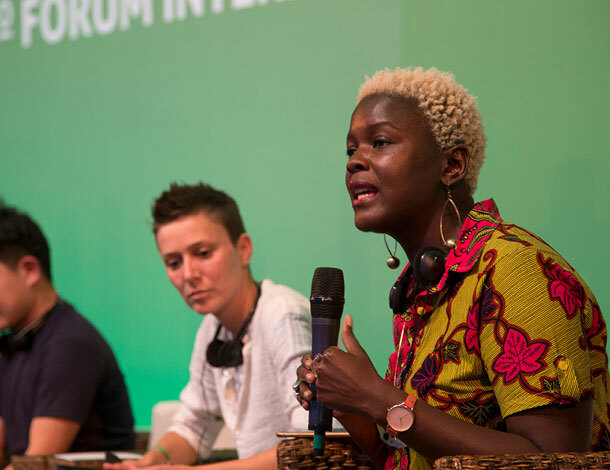 After several pre-Forum events (including the Black Feminisms Forum, Young Feminist Activist Day, Donors Day and Feminist Internet eXchange), and four days of the AWID Forum, participants reported back that “the fire of feminism is burning bright“. They affirmed that the Forum was a space of restoration that inspired and re-energized those who were there - an important movement goal if we are to sustain ourselves and ensure our activists and organizers can survive setbacks, re-calibrate and launch innovative global actions. When social justice movements come together in our dazzling diversity and recognize and respect each other’s experiences, we demonstrate the energy, power and vision of our movements. We need to elevate the collective well-being of all our communities and movements, not just a few or individual. A year on from the Forum, we have witnessed the continued rise of authoritarian governments, escalating attacks on democracy, and cultures of impunity. Corporate powers work in the shadows, colluding with states to extract as much profit from communities and the planet. White supremacists, extremists and misogynists are wreaking havoc in communities and threatening activists and organizers with intimidation, armed violence and death. The voices we heard at the 2016 Forum affirmed a global perspective in analyzing and addressing fundamentalisms. While the political, economic, and historical particularities of each context was evident, these stories also came together as pieces in a global puzzle of rising identitarian religious politics and ethno-nationalist movements, political polarisation, and the resurgence of right-wing and fascist politics. And it was more clear than ever that fundamentalisms cannot be viewed in a vacuum but are the outcome of a number of interrelated crises: widespread neoliberal economic policies and unfettered corporate power, the arms trade and ongoing conflicts, political marginalization, and rising authoritarianism. 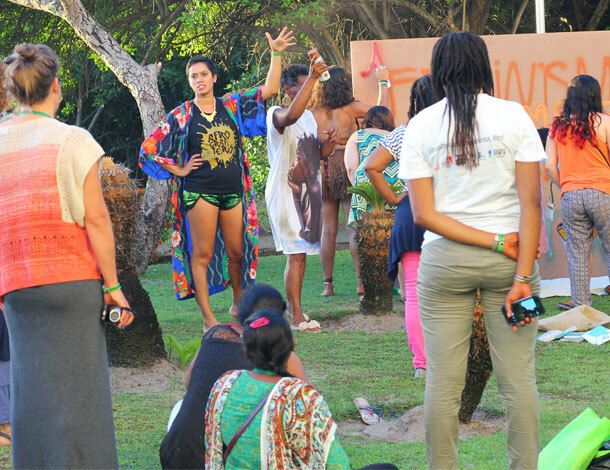 The Forum’s focus on Bodily Integrity and Freedoms provided an opportunity to bridge perspectives and struggles which are often disconnected, interrogate assumptions, and inspire creative and alternative visions. These conversations have led to further reflection and work. Thinking has emerged for example, on how to create more intersectional feminist frameworks to challenge fundamentalisms, how to translate theoretical frameworks into concrete cross-movement work, and how to centre the knowledge and experiences of historically marginalized groups. Across the regions, WHRDs are mobilizing solidarity actions, documenting violations against defenders, and celebrating their strategies of resistance. At the Forum, we collectively took stock of our feminist responses and planted seeds of ongoing and future actions and visions. A year since we met in Bahia, AWID in partnership with multiple allies, has been working to grow these seeds into concrete actions: from providing 20 grants to seed ideas that emerged at the Forum, to producing animations capturing the State of Our Feminist Movements and Climate and Environmental Justice, to compiling the artistic expressions of diverse movements, to capturing methodologies on Visioning Feminist Futures, and more. Reflecting on the state of the world a year after we met to envision our Feminist Futures, and recognising the repressive actions against justice activists and advocates, it is more important than ever to sharpen our actions and embolden our visions. The world is a much different place than it was a year ago, and it will continue to change in the years to come. 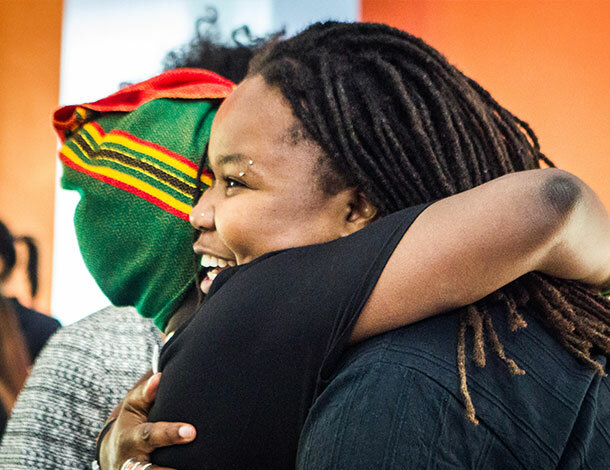 As activists working in contexts where we experience an on-going rollback of women’s rights and gender justice, alongside the disappearance of spaces for feminist, cross-movement connections, processes like the Forum offer an opportunity to find hope, community and rejuvenation. They allow us to dialogue and strategize on key issues, and to share and exchange resources, ideas and actions. We create room for ourselves to imagine and envisage new possibilities, to develop effective influencing tactics, and to co-create powerful agendas and processes. These spaces inspire us to dream and reimagine our futures. The next AWID Forum will take place in the Asia Pacific region in 2020 (exact location and dates to be announced). 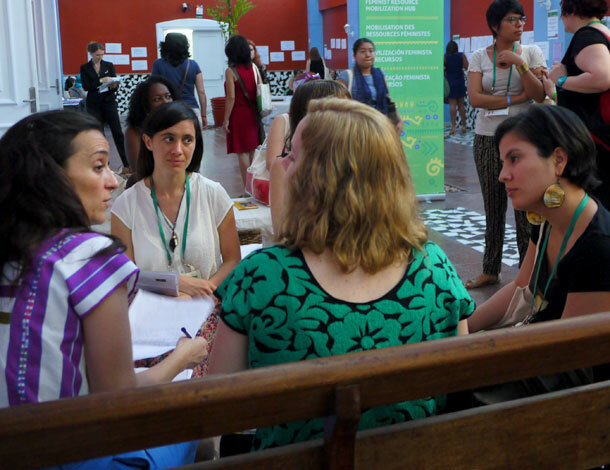 AWID is committed through its next strategic plan and Forum process to continue and deepen the relationships, lessons, and processes ignited at the 2016 Forum and informed by the current moment. We look forward to you joining us.